The gaming industry has been emerging in the market today as a business that can help you earn some serious bucks. Get to know the core strategy of monetizing from games, that operates at an altogether different level and occurs at different stages depending on the games. 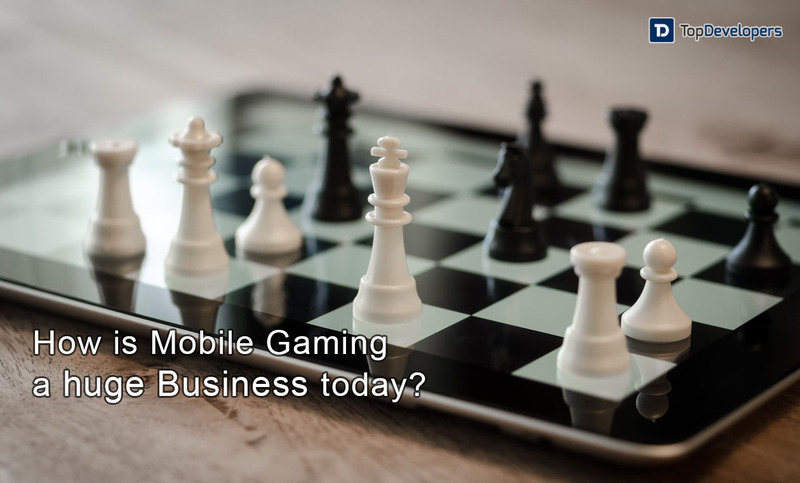 How Is Mobile Gaming Turning Out To Be A Huge Business? The gaming industry has evolved a lot from the simple tile-matching puzzle game of 90’s to the arcade, racing or shooting games of the present times that’s packed with unprecedented graphics. Two decades back, no one has ever imagined that mobile gaming would take this form and become an integral part of every industry to better train, educate and entertain the prospects. 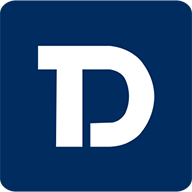 The tectonic shift in the mobile games appears at the edge of the year 2000 when the mobile devices with deeper capabilities are launched and finally, the Java games made their way to the market. The year marked the proper establishment of the downloadable and Java games. Thereafter, the mobile devices and operating systems get better to let the companies build cool games. It was a golden age of mobile games that have successfully traveled the journey from snake to Quake, where if the users like the game, they make a one-time payment for it. The concept of freemium apps ads and premium apps have been already in practice in the market to monetize on the mobile gaming, but in 2008, a new era of mobile game was ushered when Apple and Google have their own app store with hundreds of applications to download. For the brave move taken by the tech giant, there was a huge talk about a new business model introduced that’s in-app purchase. There onwards, the developers are motivated to build the game that can appeal the user to download the new upgrade or unlock the new levels with in-app purchase. It was a big step that has brought over 70 billion dollars to the developers. The alchemy brought drastic changes in the gaming landscape and a new world of mobile game monetization opened up. 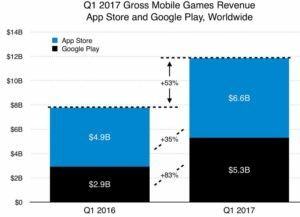 In 2017, the Mobile gaming revenue grew to $11.9 billion, that’s 53% up from the previous year. Google revenue climb at a faster rate as opposed to Apple at 83% versus 35%, when Asian titles enhanced their dominance, stated by a research. The launch of high-end graphics games, integration of emerging technologies like- augmented reality and virtual reality, and unique app ideas are the reasons a couple of mobile game apps like- Pokemon Go, Candy crush, flappy birds and clash royale have gone viral and making million dollars in revenue daily. The top chart and trending games through in-game ads and purchases boost up the app store revenues by a large amount. The instances of popular games make it clear that it’s not necessary to make your app premium to earn a bundle, instead, the free apps may help you allure more users and you can make money with them for the long run through ads or in-app purchase. “Advertising and in-app purchases are the two dominant methods of generating revenue,” says Eric Thompson, data analyst for App Annie. The banner ads, interstitial between different levels, more game options, or displaying full-size ads at the end of gameplay are some of the forms of advertising on the game app that can help you make money. In addition, you can incentivize the users with in-game currency for downloading other games, for which you will get paid by the developers when the game is downloaded by the users. Also, providing coupon offers for free and offering free coins for watching the video may delight the players and lets you fuel up the ROI. When the gamers are impressed with the light-version of the game app, they are definitely ready to pay for upgrading the app to the premium version or unlock new levels with in-app purchase. Going ahead, you can allow the players to customize the look and feel of the app, buy new wallpapers or compose a new music for the game and implement it by spending a few bucks. The ads always interfere with the user experience, but the zero spending on the app makes the player tolerate it. There are some players who want an ad-free experience, sell a version without ads to them and earn. Introducing energy mechanics in the gameplay is also a brilliant idea where the gamers are limited to play after 5 or more sessions or need to complete the time-sensitive level in a pre-defined time. Anyone who wants to continuously play or need more time, sell them what they need and get paid. With billing services, the app store has alleviated the mandate to have a credit card to make the in-app purchase. Carrier billing is one of the services where the purchase made by the users get added to their bill from the carrier. The vouchers in the form of codes are offered online and offline that can be redeemed in the game as coins. The purchase of in-game economy drives at least 50% of all the revenue to the games topping the charts. You can sell the users the weapons or gears the game has; offer the users to upgrade the app to avail the virtual items; let’s them consume and accumulate the resources to bring a balance mechanism; allow them to double the coins with in-app purchase; add some thrill with the selling of surprise boxes about which the users are unaware of; or bring your app in the holiday spirit to boost sales. All of us are familiar with the story of angry birds game app that has scored high popularity and revenue in a short time after its release. To merchandise over the game’s fame, the company has partnered with other organizations and started selling branded cases for the smartphones, game-theme based toys, and t-shirts, which has resulted into the annual revenue of more than $220 million in 2017. Similarly, the games based on their genre when getting such famous, they can start selling the items imprinted with the game icon which intrigue the users to purchase. It’s great. You have a bunch of ways to monetize the game app, no matter if it’s premium or free. Initially, don’t put off the users with expensive options in in-app purchase. Overly pricing of the virtual resources diminish the chances of conversion. Design it smartly by revealing the expensive tiers at a later stage which don’t deter the users and increases the level of engagement. The incremental difficulty excites the players, which when rewarded, it gives a sense of achievement to the players. Then, why don’t you make it? Rewarding the players with in-game currency is the best way to keep them playing and hook them up with the game. The game app market is overcrowded where the gamers are fickle and can switch to another game at the flick of the switch. Adding new features to the game that are one-of-a-kind is all-imperative to retain the players and prolong the financial success of the game. Continue to invest time, cost and efforts in designing new levels of the game to continuously hold your stake in the market. Every player like to jump out of the chair in delight when the hard level is crossed by them. It’s your responsibility to make them feel happier by cultivating the moments of joy in the game app through animated GIFs, motivational content or images. In addition, the daily revenue of popular mobile gaming titles is worth in signaling that mobile game monetization is a gold mine, which when perfectly planned on priority when you are laying out the game’s roadmap, your success is not too far. The playing field of game apps is still vacant where the developers can translate the unique app idea into the best-in-class game app which thrives the users. One piece of advice: Go ahead and complement your app with different business models like-paid upgrades or in-app purchase to turn the game into a dollar generating machine, but don’t overdo it. As, pushing too many ads in an attempt of maximizing the revenue have an inverse effect, which ruins user experience and even results into uninstallation. So, maintain an optimum balance to make the users pay to play.